Ignoring a long-overdue tax debt can motivate the IRS to take extreme measures. If you fail to respond in some way to their efforts to collect an unpaid tax bill, they may get your attention by garnishing your wages. When the IRS enacts a wage garnishment, they plan to continually collect a portion of your paycheck each week until the debt is paid off, with no regard to how this loss will impact you financially. This is the fastest way to end wage garnishment. Of course, if you could pay your back taxes you probably would have by now, but if you can find a way to pay the full tax bill all at once, the wage garnishment will stop immediately. An installment agreement allows you to pay off your tax debt slowly by offering reasonable monthly payments to the IRS. We can negotiate an installment agreement and when the IRS accepts it, the wage garnishment will stop. An offer in compromise allows a taxpayer to resolve their debt by persuading the IRS to agree to accept less than the full amount owed. Not everyone qualifies for this option, but if financial difficulties are preventing you from paying your tax debt, you may qualify. It's appropriate to apply for this special status as a temporary solution if you're living on a fixed income, unemployed, or suffering from an illness that prevents you from working. The IRS will refrain from attempts to collect their money while your debt is considered Currently Not Collectible. Stuart C Hill Jr., CPA, PLLC is a Fort Worth, Texas CPA Firm providing local businesses and individuals with tax resolution services. 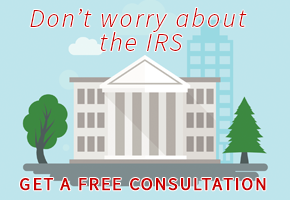 We work hard to minimize penalties and resolve your problems with the IRS.